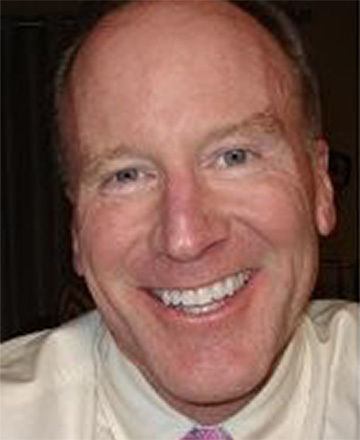 Kevin Cavanaugh is the Chief Operating Officer for Tallen Capital Partners, LLC. Kevin brings a wealth of experience and expertise, technical skills and relationships to the platform including corporate budgets, financings, project refinancing and new development projects. Kevin and Terrence Tallen have known each other since 1985 and have worked together in Florida as well in California and have developed a notable track record in achieving significant returns on invested capital and enhanced portfolio performance. Together they have also developed a number of systems and procedures that enable the facile and effective operation of the TCP business platform. Previous experience includes: NewMark Merrill Companies (“NMC”) is a developer, acquirer and manager of shopping centers throughout Southern California, Colorado and Chicago with over 40 retail assets and 5,000,000 square feet. I have overall responsibility for the day-to-day operations of NMC’s operating divisions (NMC Corporate, NMC South, LandMark Retail Group and the company’s operations in Chicago and Denver) and am responsible for coordinating all accounting, leasing, development and legal matters. I review and approve all proposed acquisitions and analyze the companies’ operating financial performance against established benchmarks. From 2008 to 2010, property overhead was reduced approximately 8.5% over the entire portfolio (approximate savings of $2M) and in calendar year 2009, portfolio base rent increased over 1.5% (approximately $1M). I have oversight responsibilities for both human resources (staff evaluations, bonus plans, etc.) and have reduced historical turnover from in excess of 30% to 8%. Additionally, I oversee technology initiatives and during my tenure, we have outsourced selected data analysis to an offshore firm (India), converted accounting systems (from Yardi to MRI), installed an Internet and network accessible document management system and we recently converted our accounts payable system to a paperless work-flow system. I also served as lead construction manager on both a 104,000+ sf shopping center redevelopment ($3M+, added OfficeMax and Fresh & Easy) and a pad development ($1.5M for Starbucks and T-Mobile). Managing Director. I was recommended for this position by my previous CEO, Scott Verges. I fulfilled the duties of a CFO/COO and was responsible for operating (operational analysis), financial planning and analysis (performance benchmarks), accounting and reporting (compliance with tax jurisdictions) of companies and commercial real estate assets in distressed asset and distressed loan workouts, asset management and problem resolution engagements. Individual company annual revenues range from $500,000 to $10,000,000 with asset values ranging from $5,000,000 to $150,000,000. Assignments have included the operation and sale of a 1.4 million square foot regional mall (sold for TIAA-CREF for 2x book value at a 1.9% cap rate), operation of a 1,700 acre almond orchard (Plaintiff was able to sell their position at par), operation of a maritime supply concern, operation and sale of a 4,500 acre golf and ski resort, operation of numerous high rise office buildings, entitlement and sale of a luxury home development (sold at 4x acquisition price), operation of an independent living facility, sale of three (3) land parcels in Mexico including 5 hectares on Rosarito Beach, operation (apartments) and sale (condominiums- conversion) of three (3) properties consisting of over 1,000 condominium units and the $20M construction/expansion (188,000+ sf) of a 560,000 sf shopping center. Senior Vice President. Following the shareholders’ decision to sell the company, I coordinated the formulation and execution of a strategic plan and managed all company functions relating to the asset disposition process of this $1.0 billion NYSE-listed company. I reported directly to the CEO and was responsible for the identification of strategic alternatives and the negotiations with potential merger and acquisition candidates and portfolio buyers. Additionally, I developed a Liquidation Analysis (Microsoft Excel platform) that estimated stockholder distributions based on various disposition alternatives/scenarios for use by the Board of Directors. I successfully liquidated the entire company in eighteen (18) months. 1998 – 2000 Regional Director of Leasing. I was recruited by Burnham Pacific’s Vice President of Leasing to manage the Northern California leasing department. I had a reporting staff of 12 and was responsible for $40 million in annual revenues. My department’s total portfolio base rentals increased at 333 percent of the company’s total rate, concurrently my department improved the properties’ occupancy at 300 percent of the company’s total occupancy growth. While my department properties comprised only 35% of company’s total gross leasable area, it generated 58% of the total company leases. BOARD MEMBERSHIPS: Bay Area Bankruptcy Forum [2004 – Present], Treasurer [2006 – 2007]. California Receiver’s Forum- Bay Area Chapter [2004 – Present], President , Vice President , Treasurer . SPEAKING ENGAGEMENTS: Meritas Financial Services/Creditors Rights & Bankruptcy Section Meeting, Miami (February 2007), “Buying Distressed Real Property In and Out of Bankruptcy”. San Diego Appraisal Institute, San Diego (March 2007), “Analyzing Distressed Real Estate- Workout Case Study”. ACCREDITATIONS: CPA (American Institute of Certified Public Accountants); ABV (Accredited in Business Valuation from American Institute of Certified Public Accountants); Real Estate Broker (California and Florida); AND, formerly certified (2007) as a CDBV (Certification in Distressed Business Valuation from the Association of Insolvency and Restructuring Advisors). PROFESSIONAL ASSOCIATIONS: American Institute of Certified Public Accountants and the International Council of Shopping Centers.